Serta, is a leader in manufacturing mattresses and in over 100 countries, found a solution to the sagging issue that is typically associated with air beds. Using its NeverFlat technology, this Serta Air Mattress will stay balanced throughout the night, so air pressure won't significantly dip to a level where you'll experience back pain. This air mattress also contains customizable automatic features that allow the user to control the bed's firmness level, so you get to sleep on a bed that has consistent support every night, which will work wonders for your back and joints. 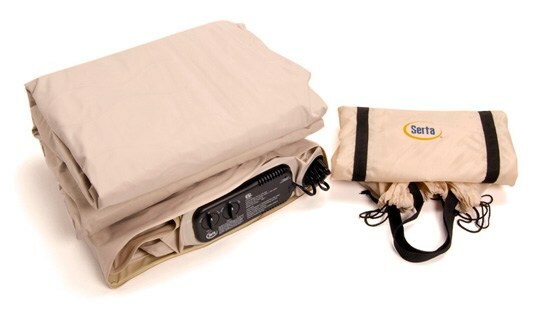 Keep reading for a detailed review of the Serta Air Mattress. This Serta Air Mattress comes with fully automatic controls that let you specify the firmness level you prefer, is a rare feature to find in an air bed. With this Serta Air Mattress, you can choose between three firmness levels from plush to medium to firm. Keep in mind that the position you sleep in will dictate the firmness level that guarantees a good night’s rest. 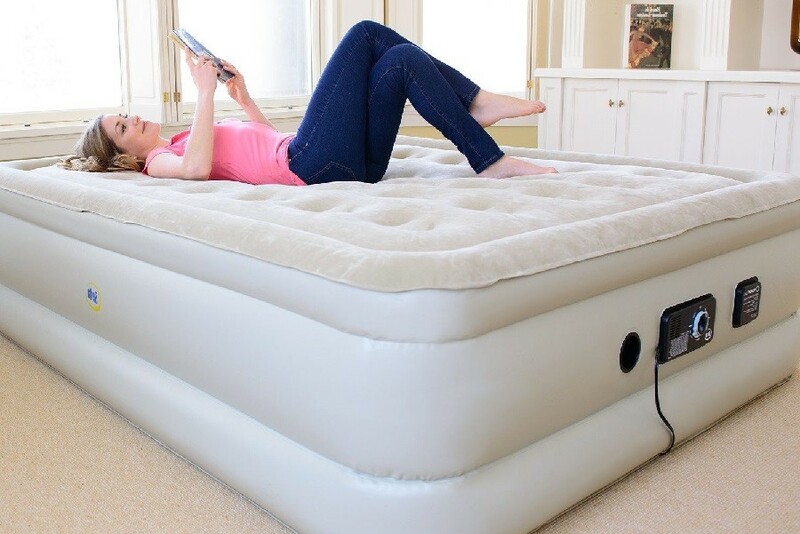 When you set the built in pump to your desired firmness, the Serta Air Mattress will inflate to that level and will automatically shut off once the inflating process is complete. 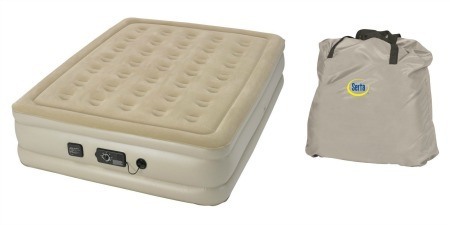 This Serta Air Mattress is uniquely designed with two built in pumps, rather than one. The primary built in pump is responsible for inflating and deflating the product, while the secondary built in pump ensures the air pressure inside the bed stays constant. The secondary pump quietly monitors and maintains your bed’s air pressure while you sleep, so your back and joints don’t experience any discomfort or pain. 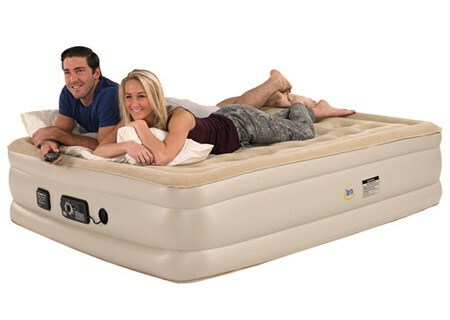 Buyers love sleeping on this Serta Air Mattress because it guarantees customized comfort all night, and it is a well built product that ensures the air bed will last you several years before you'll need to buy a new one. Out of all the online retailers that sell Serta Air Mattresses, we recommend Amazon as the best place to purchase this air bed. Amazon offers really good discounts off Serta Air Mattress's original price. For example, you can get it right now for under $120 (Twin Size). Given its automatic pressure regulation and ability to set it and forget it, this is the perfect air mattress for anyone who needs a backup bed when guests come over.